Exploring a new city is a perennial travel pursuit, introducing the potential to discover bustling neighbourhoods, stunning sights and local tastes. Here, we present you with a few cities on the rise that should definitely be on your itinerary in the coming year. The Northern Ireland capital of Belfast has come a long way in the last few decades, with a new cosmopolitan outlook, attention-grabbing attractions such as the resolutely modern Titanic Belfast arriving on the scene, and a Games of Thrones-generated buzz that shows no sign of abating, especially given the arrival of the immersive Game of Thrones: The Touring Exhibition at the TEC Belfast in April, which will showcase everything from the costumes and props to the mythical lands of Westeros and Essos. With a population of less than 700,000, what the locals of the Sicilian city of Palermo lack in numbers they more than make up for in passion. The residents of the Italian island see themselves as Sicilian first, Italian second (the former Kingdom of Sicily only became part of Italy in 1861, and was named an autonomous island region in 1946), and the capital city is their crowning glory, where the influences of invaders such as the Byzantines, Romans and Moors have melded over the centuries to stunning effect. As the Italian Capital of Culture in 2018 the city got to show off its time-worn wonders, from its Sicilian Baroque architecture (visit Piazza Vigliena, known locally as Quattro Canti), its soaring cathedrals and churches, as well as its laid-back approach to life. Georgia and its capital Tbilisi are definitely making up for lost time; the Caucasian country, which spent most of the 20th century under Soviet rule, has established itself as something of a hotspot of late with new designer hotels sprouting up and a society dedicated to progress; the Constitutional Court of Georgia recently legalised marijuana consumption. 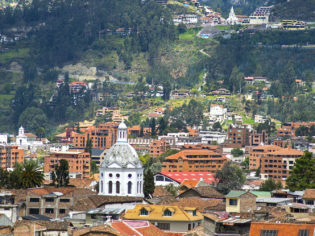 While Ecuador’s capital of Quito had a moment a few years back, the southern city of Cuenca (officially known as Santa Ana de los Ríos de Cuenca) is emerging as the next place to discover in the South American country. 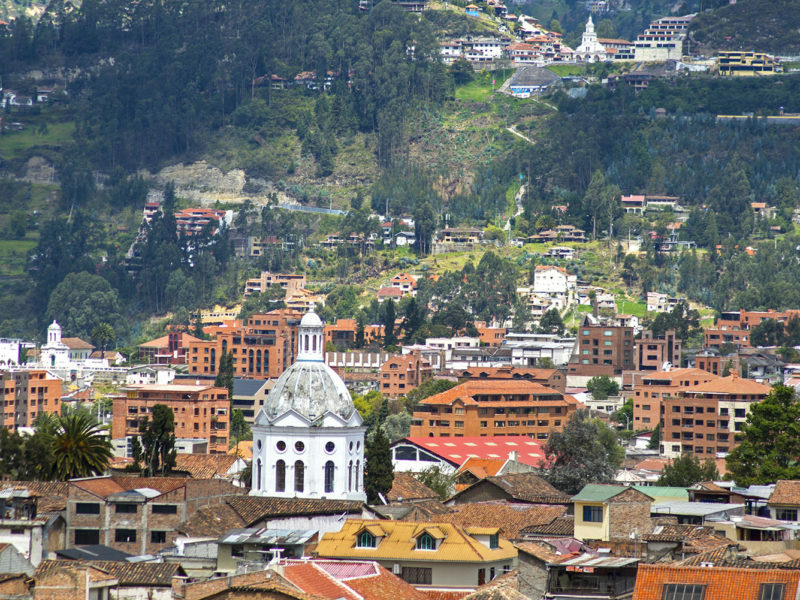 Located in the Andean Mountains, the historic centre of the colonial city is a UNESCO World Heritage site, its stunning collection of squares, parks and churches, as well as its hulking blue-domed cathedral, begun in 1885, making it the perfect place to lose yourself in for a few hours, or a few days. The city of San Juan, capital of Puerto Rico (the ‘unincorporated territory of the United States’), bore the brunt of the natural and political disaster that resulted when Hurricane Maria made landfall in September 2017. But the island is now well and truly open for business again and keen for visitors to discover its unique personality, which combines Caribbean and Latin influences, its cobblestone streets lined with pretty pastel-hued houses (pictured) and its palm tree-fringed beaches. Any city that has an annual Sauna Day (9 March if you are wondering) goes to the top of our list of places to visit. But this most Finnish of experiences is just one of the many attractions Helsinki possesses to recommend it. The Nordic capital is a compact and easily navigated city with surprising architectural wonders (some areas of the city resemble St Petersburg thanks to the country’s time as part of the Russian Empire from 1809 to 1917, while others celebrate the modern style of Finnish design superstars like Alvar Aalto), a picturesque harbour, thriving Nordic food scene and a positive, healthy lifestyle that is the envy of others around the world. One word: Eurovision. After Israeli singer Netta emerged victorious from the 2018 Eurovision Song Contest held in Lisbon, Tel Aviv was confirmed as the venue for the 2019 competition, to be held on 18 May. For those who aren’t interested in the kitsch singing contest, Israel’s economic capital also has a raft of new hotels in the city centre and the historic port city of Jaffa (pictured), a buzzing restaurant scene and an estimated 4000 buildings showcasing Bauhaus design (it’s known as the ‘White City’ as a result).